Being immersed in the green and the tropical feeling of the place. Also being at walking distance from an amazing beach. 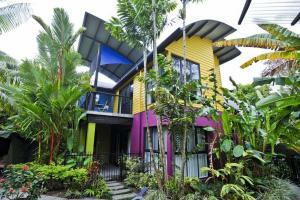 What a beautiful, tranquil, relaxed accommodation with funky colours, beautiful plants and a lovely swimming pool. The bedroom and bathroom were spacious as was the lounge and kitchen and I loved the outdoor patio. It was good to be able to use the washing machine and have access to a clothes horse, iron and ironing board. It was a bit far from local amenities, but very easy to get a local bus to and from town. John was a great host and. I thing was too much trouble for him. Great value studio apt. way nicer than the photos let on...The room was huge, well furnished and comfortable with a nice outlook. 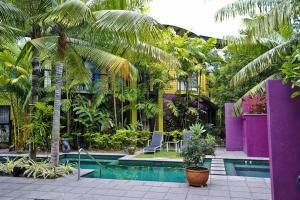 Nice pool and good location, beach at the end of the street, small local shops a few minutes walk away. Easy check in and relaxed atmosphere. Huge Apartment. Boutique retro design. Loved the cooking facilities and had plates, cutlery everything you needed to cook, Close to beach, Great Pool. 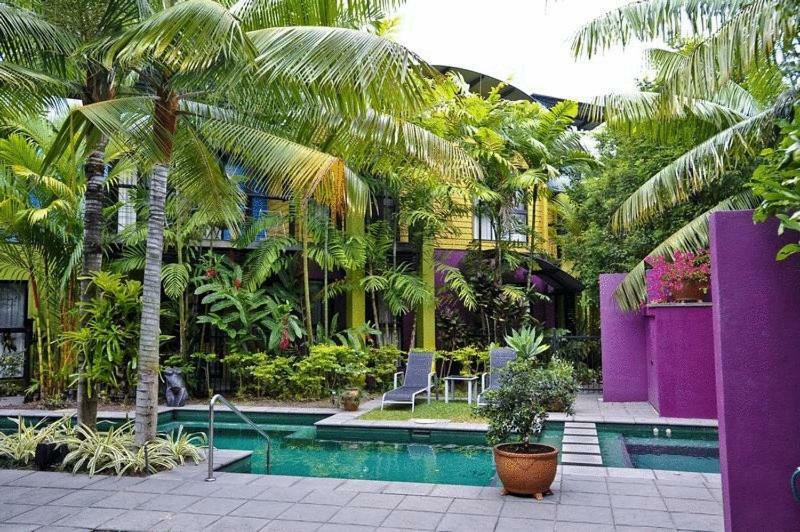 Beautiful space with all the lush plants and trees. Air con and fans were much appreciated too in the humid weather. Loved our unit, very spacious,lots of natural light,very well ventilated, close proximity to beach, shade from the garden keeps the outdoor area cool. Check in was quick, efficient and very welcoming. Unit was fantastic value for money, large, private and had everything we required. Lock in a great price for Dreamcatcher Apartments – rated 8.8 by recent guests! 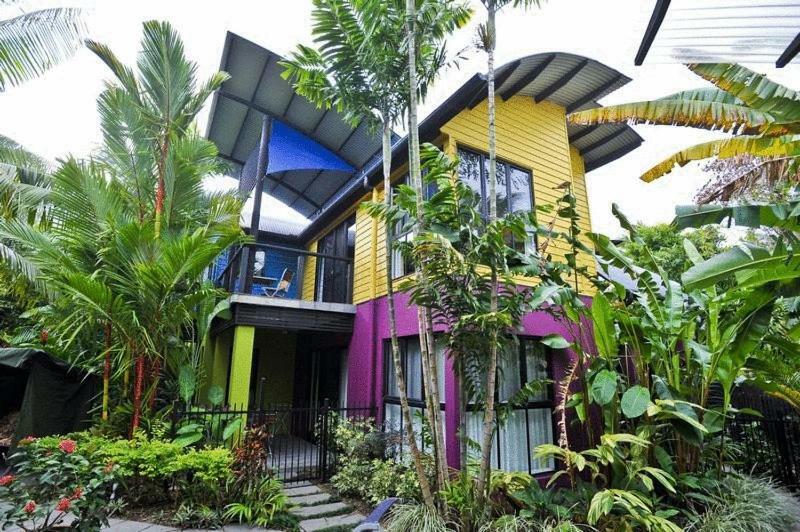 Dreamcatcher Apartments This rating is a reflection of how the property compares to the industry standard when it comes to price, facilities and services available. It's based on a self-evaluation by the property. Use this rating to help choose your stay! Dreamcatcher Apartments offers spacious holiday apartments in a secluded beachside location, just 3 minutes' walk from the beautiful 4 Mile Beach. 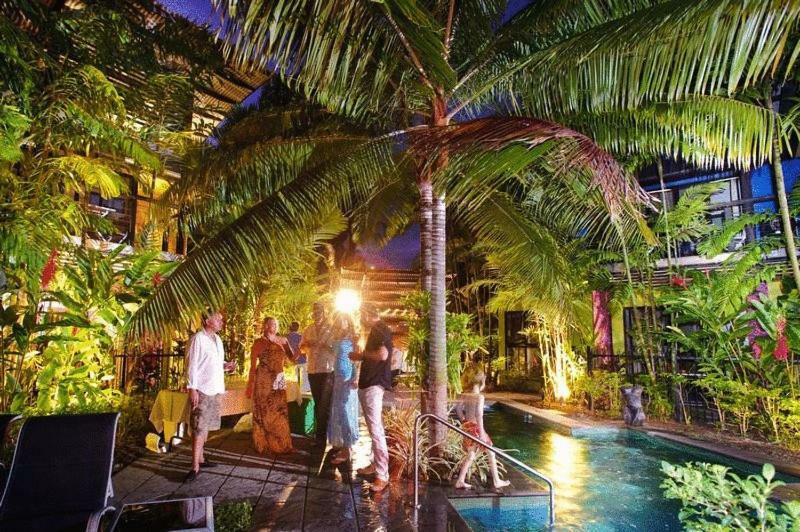 Guests have access to an outdoor swimming pool and BBQ facilities. 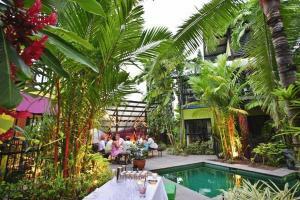 All apartments are air-conditioned and offer a patio. There is a microwave and a refrigerator. Some apartments include a fully equipped kitchen. The private bathrooms include a shower, a hairdryer and free toiletries. 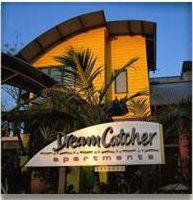 Dreamcatcher Apartments Port Douglas are within 10 minutes' walk of shops, galleries and a variety of dining options. A range of activities can be enjoyed in the surrounding areas, including hiking, windsurfing and fishing. The property features a tour desk. When would you like to stay at Dreamcatcher Apartments? House Rules Dreamcatcher Apartments takes special requests – add in the next step! Dreamcatcher Apartments accepts these cards and reserves the right to temporarily hold an amount prior to arrival. Please note that there is a 2% charge when you pay with a Visa, MasterCard, Eurocard, JCB credit card. There is a 2.7% charge when you pay with an American Express credit card. None of the curtains closed properly which meant sunlight streaming in early every day so no chance for a lie in on holiday! The airconditioner remote had flat batteries,hard to change speed and femperature settings.lights flickered in the apartment Floor was lifting near bathroom door,trip hazard. The price was good. 104 a night. Air con only goes down to 22 degrees but in actual fact I think it just fans the hot air around. It was like a sauna. Very uncomfortable sticky nights sleep. No mugs or milk for morning coffee, resorted to black coffee in a glass. Not worth the money as it essentially doesn’t have aircon. Apartment approaching time for a facelift. One lighting circuit faulty, Dimmers not compatible with LED lighting. Bit noisy on Saturday night, not the accommodations fault though.